Text There can only be 1 "Earthbound Immortal" monster on the field. If there is no face-up Field Spell Card on the field, destroy this card. Your opponent cannot target this card for attacks. This card can attack your opponent directly. 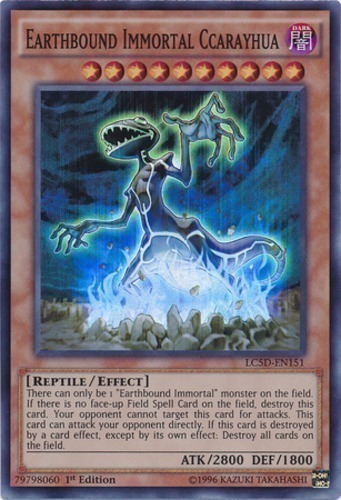 If this card is destroyed by a card effect, except by its own effect: Destroy all cards on the field.